This week on Creative Saturdays Janis shows how to create a picture using torn pieces of paper. No scissors allowed. 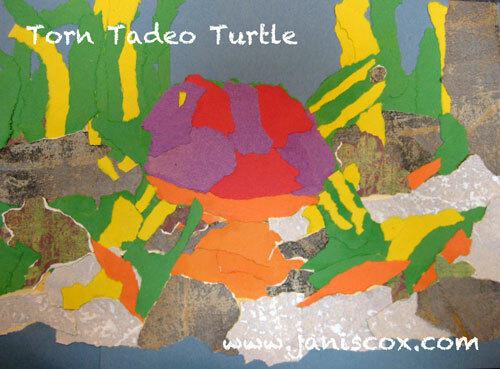 Make a Torn Tadeo Turtle.